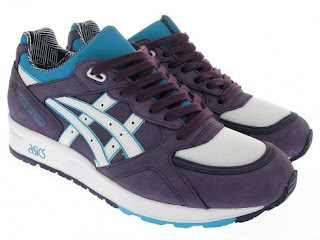 Asics has been bring a steady selection of extremely fashionable kicks to the market as of late. Last month we saw the Asic Gel Lyte III's and now we are getting a preview of the Asics x Patta Gel Lyte Speed Pack that was released over seas in late January. Patta is a clothing and footwear boutique in Amsterdam and they teamed up with Asics once again to celebrate their five year anniversary. They will release three pairs in collaboration with Asics and artists Delta, Eric Elms, and Parra. Along with the sneaker, a versatile backpack in matching colorway is also included.